Book and enjoy the 4* Anthemis Apartments for a great family holiday and explore the beautiful resort of Samos. Anthemis Apartments are situated in Samos Town with views across the water and surrounded by lush vegetation. The apartments are located just 1km from the resort centre of Samos Town, the capital of the island where shops, bars, cafe''s and nightlife can be found. 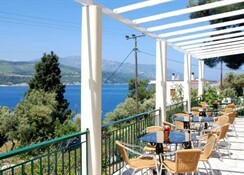 Local Tips: The hotel is situated in Samos Town, 16kms from the airport and only 1.5km from the main port on the island with ferry connections to Athens and many other islands. The closest beach is 200m away while the bus station with daily connections to other resorts on the island is only 2 km from the complex. The Anthemis Apartments offer One Bedroom Apartments (2-4 people) have a separate bedroom along with a single bed/sofa in the living room, fully equipped kitchenette, bathroom with shower, hair dryer, telephone, TV, individual air-conditioning (at a charge) and balcony. 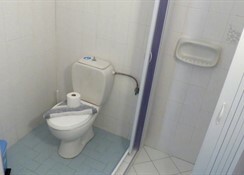 The Studios consist of a combined kitchenette (fully equipped), bedroom, bathroom with shower, hair dryer, telephone, TV, individual air-conditioning (at a charge) and a balcony or terrace. Book and enjoy the 4* Anthemis Apartments for a great family holiday and explore the beautiful resort of Samos. Anthemis Apartments are situated in Samos Town with views across the water and surrounded by lush vegetation. The apartments are located just 1km from the resort centre of Samos Town, the capital of the island where shops, bars, cafe's and nightlife can be found. Local Tips: The hotel is situated in Samos Town, 16kms from the airport and only 1.5km from the main port on the island with ferry connections to Athens and many other islands. The closest beach is 200m away while the bus station with daily connections to other resorts on the island is only 2 km from the complex. Food, Drink and Entertainment: Snack Bar, Bar and Lounge with Satellite TV. 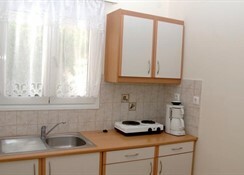 A Mini Market is situated just 150 meters from the Anthemis Apartments great for those of you who a self catering. 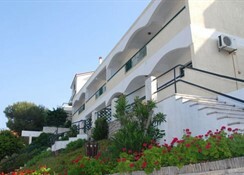 Sports, Games and Activities: Swimming Pool, Children's Pool, Sun Terrace (beds and umbrellas free of charge). A public tennis court and basketball court are situated in Samos Town, approximately 2 kilometres from the hotel. A variety of water sports are available on the island and guests can find information at the reception area.